Since opening in 2006, thousands of students have visited The Wild Center with many schools choosing to make the visit an annual Adirondack field trip. School groups visiting the museum have the option to go on a self-guided adventure or choose to add a program during their visit. The Wild Center’s school programs are geared toward Pre-K through college-aged students and strive to compliment state standards while engaging students in hands-on, interactive learning experiences. Here, you’ll find all of the information you need to successfully plan a school visit to The Wild Center—and while this information specifically pertains to schools, we also cater to a variety of group visits to The Wild Center, including everything from educational organizations and bus tours, to family reunions. Visiting classes have the option of choosing between a self-guided experience or adding a program during their visit. Groups are welcomed by Wild Center staff and given a quick orientation of the museum and campus. This option allows for access to the museum with close to 450animals of 45 different Adirondack species, Wild Walk (the elevated trail into the treetops), iForest, the Wild Supply Company Store, the Flammer Panoramic Theater and our outdoor trails. Please review the self-guided admission program rates below and remember that groups of less than 10 individuals should review The Wild Center’s regular admission rates. School/College Groups with ten or more students have the option of adding an age-appropriate program experience emphasizing New York State Science Standards and Common Core. The rates below include everything that comes with our self-guided admission plus the age appropriate program of your choice. Additional Programs are $2 per person per program. Before submitting a school visit reservation form, we encourage you to carefully review our school group admission options, as well as our Field Trip Prep Guide and Programs Guide so that you’re properly prepared for a school visit to The Wild Center. The Wild Center offers on-site student-centered programs in which students explore topics such as earth systems, natural history, biology and engineering. Hands-on activities and up-close experiences with Adironack life is engaging and leaves lasting memories. A naturalist guides young scientists on an exploration adventure. Students hone their observation skills and stimulate their 5 senses through engaging hands-on activities. Students collaborate with classmates as they ask questions and explore adaptations of Adirondack mammals. Students get hands-on with natural artifacts while facilitators employ Visual Thinking Strategies – a cutting-edge student centered learning technique. Students become engineers as they collaborate to design and build model wilderness structures that can withstand the dynamic powers of erosion when put to the test. Students become fishery biologists as they dive into the world of brook trout, an important indicator species. Students work together to sample water from our exhibits and apply what they learn to evaluate real water chemistry data from the region to determine habitat suitability. Can you track an animal in its habitat in the Adirondacks? Success depends upon students using critical thinking skills and teamwork as they use radio telemetry in conjunction with a map and compass to locate a (model) animal hidden on our campus. Students are introduced to the science of climate change, drive exploration of its impacts, and discuss solutions to these issues through visualizing global data sets on NOAA’s Science on a Sphere. Sustainability is very important to us at The Wild Center. From our inception to the present, we seek to include innovative building techniques and “green” practices to best support our mission. Students explore environmental design in action, as they are guided through our state-of-the-art LEED Certified building and campus to find out what makes us “green”. Students meet an Adirondack animal ambassador and experience them up-close while engaging in deep observation and conversations to uncover the hidden stories of our wild neighbors. Become a naturalist! Students take a closer look at the natural world around them through this self-guided, environmental education booklet. After completing a variety of activities that engage students across the museum and outdoor campus, each student earns a patch honoring their work. For quick reference, here are some of our most commonly asked questions about school group visits to The Wild Center. Please note that this is not a comprehensive list of everything you need to know to plan a trip, and you should consult our field trip planning resources above to fully prepare for your visit. Do you offer special rates for homeschooled students? Homeschooling groups of 10 or more will receive the same admission and program rates as other school groups with pre-registration. We highly recommend pre-registering prior to your arrival. 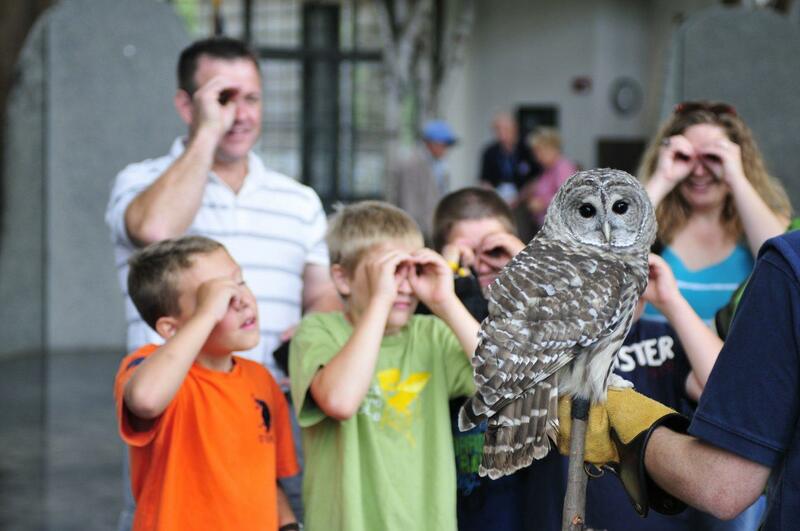 Please keep an eye out for our annual Homeschool Days at The Wild Center. We ask that you provide one adult per ten students. Breaking up into small chaperoned groups is the easiest way to tour the museum. How long does it take to get to The Wild Center? Google is great, but unfortunately does not take into account riding on a bus. To get to us from any region, you will need to travel on numerous rural, winding roads. Please estimate your travel time to take at least 30 minutes longer than any estimate from Google or a GPS device. A later arrival may negatively impact your itinerary for the day. What if my group arrives late? Self-guided Admission: An email or phone call notifying your Wild Center staff contact would be appreciated. We want to meet and welcome each group to help assist with getting oriented to the museum and campus. When you get to admissions, please notify the Admissions Team what school you are from and they will locate your staff contact to come up and greet you. Admission and Program: Please understand that late arrivals may change the times and/or availability of your scheduled program(s). We will try to accommodate you the best we can based on our available staff. A change in program time or type of program may be necessary to accommodate the late arrival. An email or phone call notifying your Wild Center staff contact would also be appreciated. Is Wild Walk going to be open when we visit? Wild Walk is open for school groups from May 1st through October 31st. Even when the museum is closed during the week during shoulder season periods, Wild Walk will be available to visiting school groups. Wild Walk availability is always subject to weather conditions. In the case of inclement weather, please be advised that Wild Walk may need to be closed. Do you make our itinerary or do we? Self-guided Admission: Our staff contact will be happy to assist you with any questions concerning how best to experience and navigate The Wild Center’s campus. However, our staff members have limited resources available to help each individual group plan their day. Keep in mind that travel time to and from Wild Walk and the museum building takes about 15 minutes. Admission and Program: Program times will be provided to you a week or two week prior to your visit. The rest of your time at the museum is up to you and your chaperones. Keep in mind that travel time to and from Wild Walk and the museum building takes about 15 minutes. I scheduled a program, what time will it be? All program times will be communicated to you by The Wild Center staff a week or two before your visit. Wild Center staff will be in contact if anything changes during that two-week period so that you can amend your itinerary and communicate any changes to your chaperones. We welcome schools to have students bring their own lunch. Dining space is limited and on busy days, your group may need to share space with other visiting groups. For large groups (50+ individuals), we recommend staggering your lunch time by class or smaller groups to help limit congestion in our dining areas. Please avoid Waterside Café, as we keep it open to public visitors. If necessary, Wild Center staff will be in contact with the group leader concerning a designated lunch time and space due to busy field trip days. Is there a space for us to eat? Our Esplanade Tent, Pines Play Area or any of the picnic tables around the museum are available for schools to use during lunch. Please be kind and share spaces if other groups need a place to eat. Larger groups should consider staggering lunches to limit congestion in our lunch areas. Waterside Café seating is not available for large groups. Do we have an option to get a prearranged lunch with your cafe? Groups of 25 or more individuals can prearrange lunch through our cafe. Please give at least a three-week notice if you are interested in prearranging a lunch. Availability may be limited based on the season. Groups with 20 or less people wanting to eat at the cafe may do so, and can go through the cafe line to purchase a lunch. Please keep in mind that the cafe is only open when the museum is open. If you are arriving on an off day during the shoulder season (October-May), please expect to bring your own lunch. We accept cash, check, credit card, and purchase orders. Payment can be made before, upon or post arrival. Please notify your Wild Center staff contact of any special payment requirements and if you would like an invoice. Can our students visit The Wild Supply Company Museum Store? We would love to have your students visit the museum store. Space inside the store is limited and we ask that groups no bigger than ten students enter at a time. Students in the store must be accompanied by a chaperone. If you have a large group, please advise your chaperones that they should stagger the groups visiting the store. Also, if your group is visiting on an off day during the shoulder season (October-May) please let Wild Center staff know if you would like to visit the store and we can arrange for the store to be open for business.